Finally my favourite film has been released on DVD. With cast including John Gielgud, Dirk Bogarde, David Warner, Ellen Burstyn and Elanie Stritch, made in 1977. You might think it would have got a release by now, but no a French director making a film in English, with a UK/US cast has fallen foul of those promoting DVDs on both sides of eh Channel, until now. Sadly Resnais died earlier this year. He also made 'Last Year in Marienbad' and 'Hiroshima Mon Amour'. Not for everyone with its non linear narrative from David Mercer's script, but it you Peter Greenaway, or Nic Roeg, this may well be in your sphere of films. Don't know this one. Might get to watch it it comes on one of the movie channel's. I don't think the film has been broadcast since 1988 to my knowledge. There are a few clips on Youtube and Dailymotion to try. Resnais' films were very varied, so liking one might not lead to similarities to find in another. Sad that such a great film is virtual unknown 35 years after its making. I remember going to see it at a small independent cinema on the left as you come down from Hyde Park corner down into Knightsbridge in 1977. To be honest I have never been a fan of Dirk Bogarde even when he was playing his most tormented characters. Oh, I've always like Bogarde, especially his work with Losey and Pinter, but he is one of those 'cold' actors that are probably an acquired taste. I admired him greatly for his role in 'Victim' when he was still a commercial star, and his homosexuality unknown. David Steel MP, showed it to the committee reviewing the law on homosexuality, known as the 'blackmailer's charter' when it was repealed in the 60's. I have yet to see 'Death in Venice' though, which I gather can be hard work, despite all the Mahler. 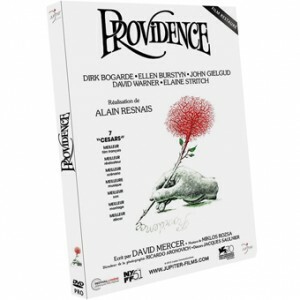 As for Providence, I think it is probably Gielgud's best performance on film, but then I would considering my love of the film. The Victim was a frustratingly dark haunting film to sit through. Well acted and filmed in small rooms. Always remember it as a Black and White film. It was re-made under another name with a modern twist a few years ago with young actors. But with lots of violence and drugs. Don't remember the name of it though. I went to a late night premiere when it opened at the Haymarket cinema in London and the masses outside with banners calling for it to be banned. It was classed as a X back then and I think you still had to be 21 to get in. Great film I have loads of strange harrowing British Classics,Comedies and "Kitchen Sink" movies. Good week for Resnais for me, for teh course I am studying we watched 'Hiroshima mon Amour' today, great film, slow by modern standards, but still great. 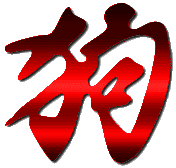 Jamiel wrote: Good week for Resnais for me, for teh course I am studying we watched 'Hiroshima mon Amour' today, great film, slow by modern standards, but still great. Do you cover any German movies Producer/Directors as part of your Masters course? I have always been a massive fan of [ external image ] Rainer Werner Fassbinder films. Fassbinder and Wenders have already been mentioned, but we haven't watched any of their films yet. I hope we do.